I have a friend named Kim who just celebrated her 52nd birthday. She is happy and she is scared. This is the year. She is fearful. She doesn’t want to leave her husband, kids, and family. She is not sick. No horrible diagnosis. No impending loss of life. And yet she is on the verge of tears most days. At every turn the blink, “You are next!” This is the year. She tries hard to focus on the here and now. But the sign glares in her mind and drives her to the edge. 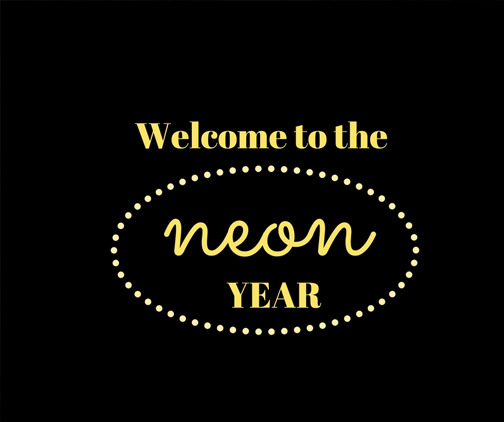 You see, it is her “neon year.” The lights are flashing; the feeling of impending doom lives in her every thought. She knows this is the year. This is the year she will leave all of her loved ones behind. After all, that is what happened to her. When this happens, a motherless daughter spins out of control emotionally and cannot understand why. We are so connected to the image of mother; our psyche plays games with us when we hit the same age of mother loss. We think we are going to die too. For me personally, my neon year coincided with a very critical surgery. I was overwhelmed with anxiety leading up to the surgery. I began, what I called, a nesting preparation for my departure. I even asked a stepdaughter to help my then unwed youngest daughter with her wedding whenever it would happen. I was sure I would not be there. After the surgery, I had a respiratory arrest and almost really died. When I recovered, I remembered I was the same age as my mother was when she died. What happens and what can we do when we hit the neon year or even when it is approaching? I encourage you to recognize it first. Awareness is the first step. It is real. You are not crazy. The fears relate to your loss. Next, find a way to talk about it – a close friend, a family member, someone who you have a relationship with and loves you, someone who gets it. For me, this is when I began writing and journaling. I would barf out every emotion into a journal. Then, when I went back to read it, it was like having a conversation with myself. Then I would share it. Sharing is the piece that must happen. Sharing keeps it real. Talking about it was cathartic. So what happens after the neon year? You made it, but now what? This next phase can be exhilarating and scary. You no longer have a role model. You have known what it is like to be a woman up to your age of loss. You have had a role model for years. Now you do not. Ah yes, but now you can create your own role model. You can decide what you want to be. The world is your oyster. Freedom is yours for the taking. Go for it!